Contributions are welcome in the form of images from brochures or photos of original cars. You are welcome to email these to us but MAKE SURE the images are in a decent size.We download email using a 56k modem connection...I recommend you send images in JPG format saved in around 70-80 % quality, this should give mo more than 100 Kbyte image size in any case. In case you really have a great large high res image (like this one) and want use to publish it, email us in advance. Please do not send pictures of customized/redesigned vehicles. 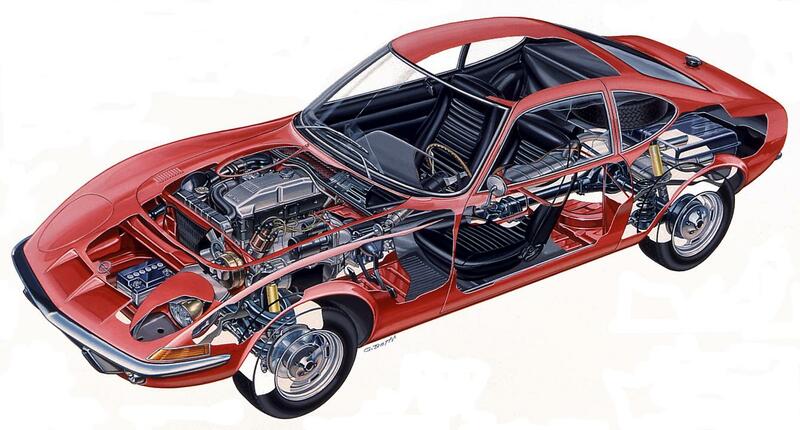 These pages are about original Opel cars from the 50's up to the mid 70's mostly. I have no interest in a Kadett GSi no matter how hot it looks.